THE region's aspiring rugby league stars are making their mark on the Toowoomba Rugby League competition this season as part of the South Burnett Eagles under-18 team. The South Burnett side scored a 30-16 win against the Warwick Cowboys in Nanango on Saturday. 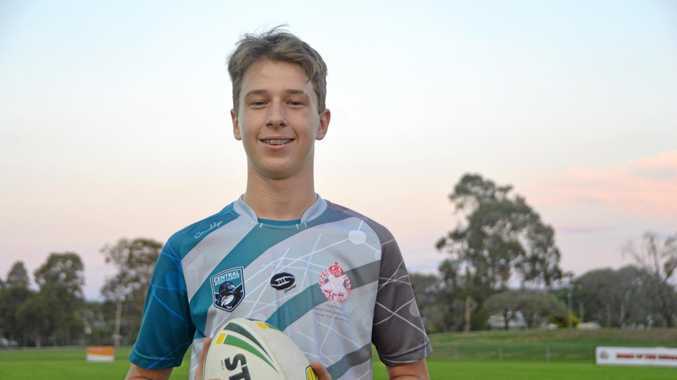 This week we meet 16-year-old Joseph Smith, who played his junior rugby league with the Nanango Stags. Wherever the coach puts me. I don't have a favourite. I like playing with my mates and keep playing because it is fun. My mum and dad, because Mum drives me everywhere and Dad lets me know when I have a bad game. Have fun, run hard and tackle hard. Winning the under-16 grand final with the Nanango Stags in 2017. Which NRL club do you support? Matt Gillett because he is good in defence.